Opened in July 2001, Piece has been serving fine quality handcrafted lagers and ales produced in small batches in our seven-barrel brewhouse. 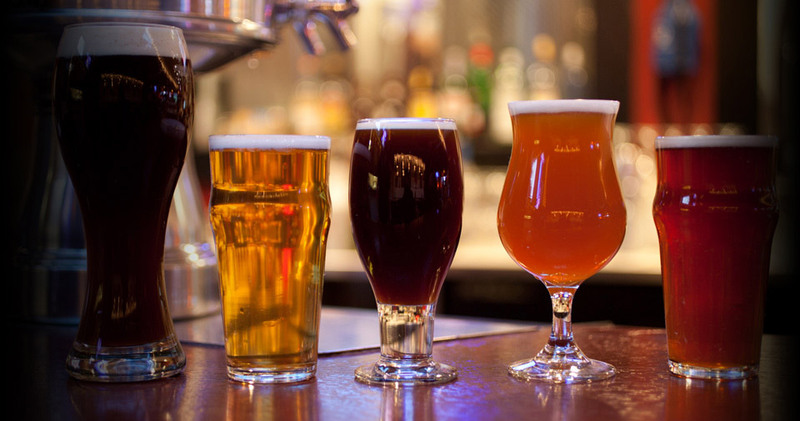 Piece brews have won an impressive total of 28 medals at the World Beer Cup and the Great American Beer Festival. Most recently, Silver at the 2017 Great American Beer Festival. Piece brewery won the 2006 Champion Small Brewpub and Brewer at the World Beer Cup. 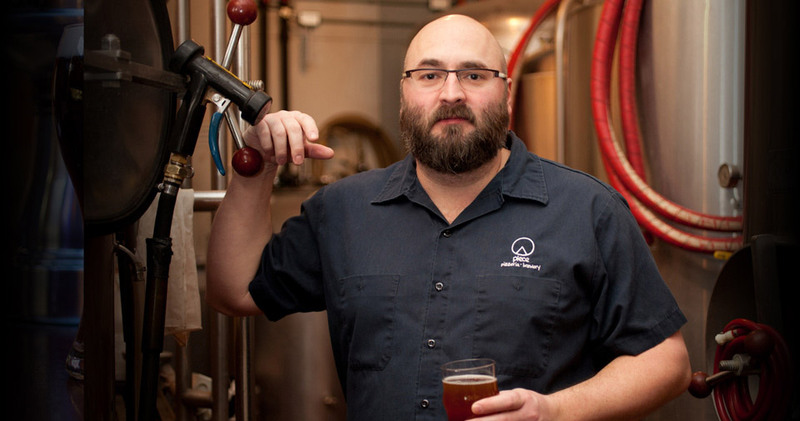 Brewer Jonathan Cutler has 21 years of brewing experience, having brewed at some of the most well-respected breweries in the country. He is a graduate of the esteemed Siebel Institute and received formal training from the Master Brewers Association of America. 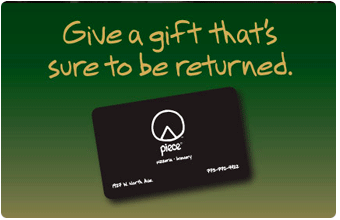 A Piece giftcard. The perfect gift for any occasion. Nothing says "I love you" or "You're really swell" like pizza and beer. © copyright 2012 Piece LLC. All rights reserved.